Are you in need of waterproofing in Chicago, IL? The team at Thermaseal / Lakeside Insulation can help. We are equipped with premier applications so that we can seamlessly seal and insulate any basement, helping keep water out and comfort in. 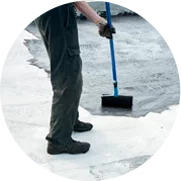 For waterproofing in Chicago, IL, contact us online or call (800) 836-2535 today! Our team can provide both foundation waterproofing services and basement waterproofing services for building projects. We use high-quality tools and proven processes. While we specialize in foundation waterproofing in Chicago, we also waterproof from the inside of the house by damp-proofing the interior walls. We install TREMCO waterproofing systems, which provide a seamless, polymer enhanced membrane that will help seal out water penetration. What Are the Benefits of Foundation & Basement Waterproofing in Chicago? 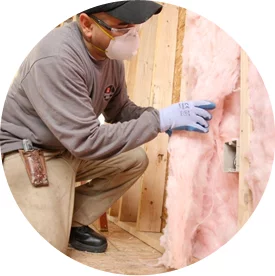 Protection against damage: A buildup of water in and around buildings can cause catastrophic damage, from rotten framing to cracked walls to ruined windows. Waterproofing help protect against these damages. Savings: Waterproofing requires an investment, but it can pay for itself by preventing the need to pay for flood remediation services. Mold prevention: Excess moisture promotes mold growth, which can damage buildings and impact indoor air quality. A waterproof foundation helps keep the basement nice and dry. 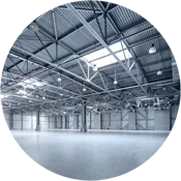 The professionals at Thermaseal / Lakeside Insulation take pride in working with builders to provide state-of-the-art new construction waterproofing in Chicago for building projects of all kinds. Whatever your needs, you can count on our team of experience waterproofing contractors. Fill out a contact form to learn more about our services and schedule waterproofing in Chicago, IL!